Little Pig, Little Pig aren't you cute? 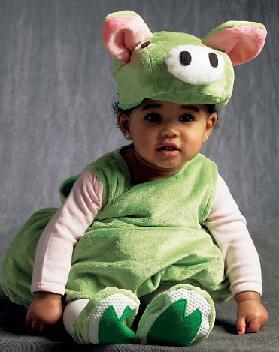 This soft bodied costume is perfect for infants and toddlers - comfortable and cute. One piece body with rear velcro fastening, booties with contrasting sole and elasticized cuffs and piggy head hat.